Patient care should be individualized based on the patient’s level of activity, age, diagnosis and expectations. Dr. Bal applies this approach to his practice daily. He considers all treatment options, both surgical and nonsurgical, when caring for his patients. Dr. Bal believes in treating his patients as he would members of his family; a philosophy etched into his practice by his mentors from residency. He also ensures that all patients have access to a team of experts from many different fields including specialists from surgery, anesthesiology, pulmonary medicine, critical care, ultramodern radiology, medical Oncology and Radiation Oncology. All treatment decisions are taken in a multidisciplinary board. 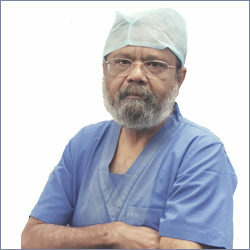 He is also the only one in India to incorporate a full time dedicated physiotherapy service into his patient care plan.